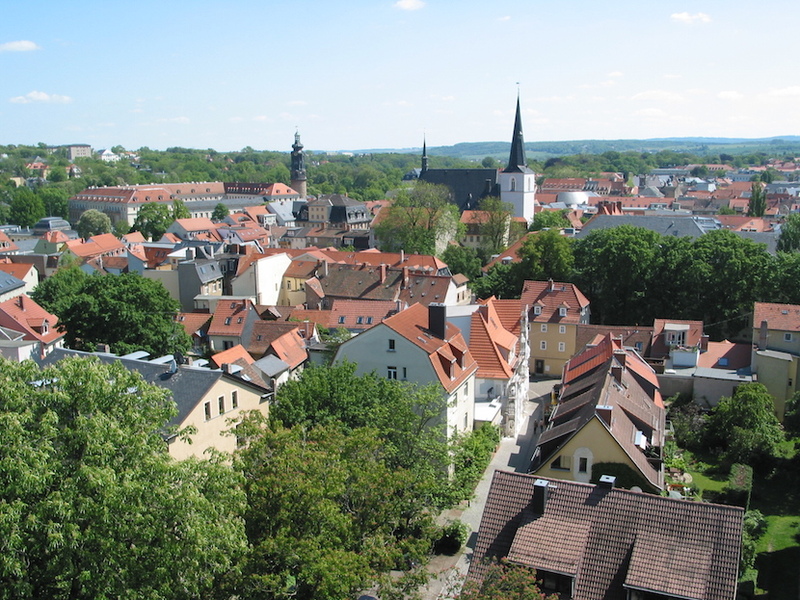 WEIMAR, GERMANY: While there was still a German Democratic Republic in March 1990, I travelled to Weimar, the town of Goethe and Schiller and of the Buchenwald concentration camp where 56,000 Jews and others perished. The article I wrote for The Financial Times was entitled Weimar’s Grey Welcome. Arriving in the evening at the Weimar train station the nearby International Hotel was full as were two or three other places. In desperation I called at a newly created office where arrangements could be made to stay in the homes of local residents. It was an early version of Air B & B. Soon a grey Trabant arrived and I was off for #37 Albrecht Durer Strasse for what proved to a fascinating evening of conversation and hospitality. My host was Beate Hoffmann, a youngish mother who in the months since the wall came down had turned hopeful. As we drank tea, she rushed to the next room and returned with Mikhail Gorbachev’s book on Perestroika, the restructuring the Soviet Union and the world. Twenty-five years later Mrs. Hoffmann still lives in Weimar where she owns two properties although she no longer lives in the renovated home on Albrecht Durer Strasse. Today’s visitors to this city of 65,000 not far from Leipzig find a bright, modern Weimar eager to welcome visitors. They come in great numbers to see the homes of Goethe and Schiller as well as the Bauhaus where the great designers of the 1920s pursued art and architecture. Many visitors also make their way up the hill above the city to Buchenwald, whose American liberators in 1945 required locals to file through to see the horrors done in their name. Theo Waigel, West German finance minister in 1990, told an audience at Washington’s Georgetown University on October 1 that in the months following unification 140,000 state enterprises in the east were privatized. Arrangements were made for the withdrawal of half a million Soviet soldiers. Today’s Weimar and other East German cities are beneficiaries of $2 trillion of fiscal transfers over 25 years from West German taxpayers. Everywhere there is new infrastructure – highways, rail lines, hospitals, schools, telecommunications. Waigel said the investment was worth it. Millions of East Germans and visitors to Weimar would agree. * Barry D. Wood writes about the global economy from Washington. He began journalism at the Financial Mail in Johannesburg and writes often about South Africa.